Acronis Backup & Recovery 10: Backup Fails with "Failed to create the substitute user logon session"
Acronis Backup Software: installation fails with "Failed to grant priviledge to user"
By default, MS SharePoint on Windows SBS does not have any MS SQL user with the sysadmin role. You need to assign the sysadmin role for proper Acronis SharePoint operation. 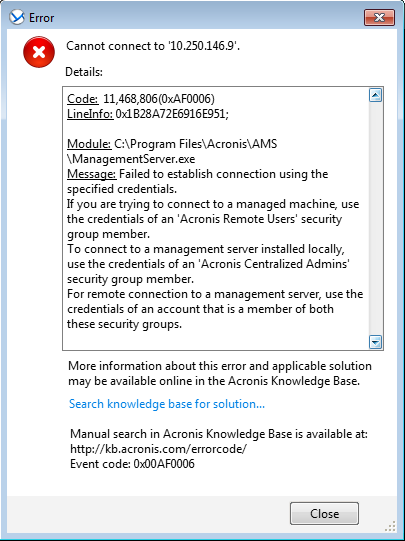 Acronis Backup Advanced: "Failed to establish connection using the specified credentials"